On this episode of The Riley and Kimmy Show we play nerd/geek pop culture trivia and an example of the Golden Age of Radio starring actress Susan Hayward. On this Throwback Thursday Podcast we interview Martin T. Pierro the publisher of Cosmic Times and artist Michael Duron/Locoduck at the Orlando Toy and Comic Con. Martin and Locoduck talk about their current comic book projects. On this episode of The Riley and Kimmy Show we play nerd/geek pop culture trivia and an example of the Golden Age of Radio starring actress Lana Turner. On this episode of The Riley and Kimmy Show we play nerd/geek pop culture trivia and an example of the Golden Age of Radio starring actor Alan Young. On this episode of The Riley and Kimmy Show we play nerd/geek pop culture trivia and an example of the Golden Age of Radio starring actor John McIntire. On this episode of The Riley and Kimmy Show we talk about the upcoming ICC Con3 in Florida. We play nerd/geek pop culture trivia and an example of the Golden Age of Radio starring Peter Lorre. Video tour of he Orlando Toy and Comic Con June 25, 2017 recorded in the 11 AM hour. Video interview with Martin Pierro of Cosmic Times and Michael Duron Locoduck at the Orlando Toy and Comic Con Sunday June 25, 2017. On this episode of The Riley and Kimmy Show we talk about Rick and Morty comic book artist/writer Kyle Starks & DC Comics artist Tony S. Daniels appearance today (Sunday) at the Orlando Toy and Comic Con Summer Fan event. We play nerd/geek pop culture trivia and an example of the Golden Age of Radio starring June Lockhart. Video Rick and Morty Comic Book Artist Writer Kyle Starks at Highlander Novelties in Ocoee, Florida. Video Rick and Morty Comic Book Artist Writer Kyle Starks at Highlander Novelties in Ocoee, Florida. Kyle talks about his upcoming appearance tomorrow (Sunday) at the Orlando Toy and Comic Con. On this episode of The Riley and Kimmy Show we talk about Saturday morning cartoons, Rick and Morty comic book artist/writer Kyle Starks appearance today (Saturday) at Highlander Novelties in Ocoee Florida, and tomorrow’s the Orlando Toy and Comic Con Summer Fan event. We play nerd/geek pop culture trivia and an example of the Golden Age of Radio starring cartoon voice legend Paul Winchell. Join The Riley and Kimmy Show today (Saturday June 24th) at Highlander Novelties in Ocoee, Florida. Flashback Friday photo of being at Famous Faces & Funnies with DC artist Tony S. Daniel. You can meet Tony this Sunday at the Orlando Toy and Comic Con 10 am til 5 pm at the Holiday Inn on Alafaya Trail, Orlando. 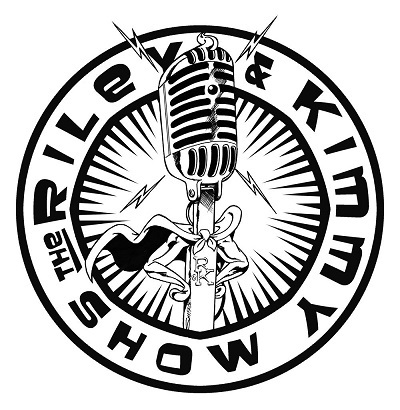 On this episode of The Riley and Kimmy Show we talk the Orlando Collect-A-Con and Athena Finger’s appearance, Rick and Morty comic book artist/writer Kyle Starks upcoming appearance at Highlander Novelties in Central Florida, the Orlando Toy and Comic Con Summer Fan event. Shoutouts to Christian Gillispie, Mike Pries and Greg Bohnert. We play nerd/geek pop culture trivia and examples of the Golden Age of Radio starring actress Maureen O’Sullivan and actor Ray Mlland. Throwback Thursday video from 2016 of our interview with DC Comics artist Tony S. Daniel at Famous Faces & Funnies. Meet Tony this Sunday (June 25th) at the Orlando Toy and Comic Con. On this episode of The Riley and Kimmy Show we talk about Rick and Morty comic book artist/writer Kyle Starks upcoming appearance at Highlander Novelties in Central Florida, the Orlando Toy and Comic Con Summer Fan event. Shoutouts to Christian Gillispie and Mike Pries. We play nerd/geek pop culture trivia and examples of the Golden Age of Radio starring actress Judy Garland and actor Fred Astaire. 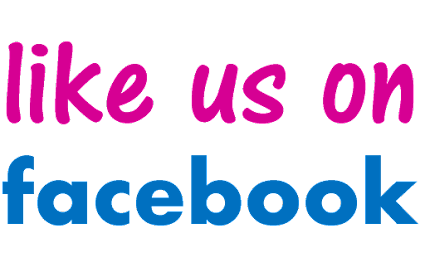 Big thank you going out to Greg Bohnert for giving The Riley and Kimmy Show tickets to giveaway (while supplies last) this Sunday at the Orlando Toy and Comic Con for the July Orlando CollectaCon. FREE TICKETS! Go See the Riley and Kimmy podcast Booth at Orlando Toys and Comic Spring Event featuring Great comic book artist Tony Daniels this Sunday June 25 Holiday Inn UCF. Patrick Riley of The Riley and Kimmy Show might have some Free Tickets (Limited Supply) for you to Orlando Collect-a-Con if you tell him you want to meet the Legandary comicbook artist Lee Bermejo and see the Special BATMAN & BILL FINGER Panel on July 16th at Hilton Hotel Altamonte Springs, Florida. 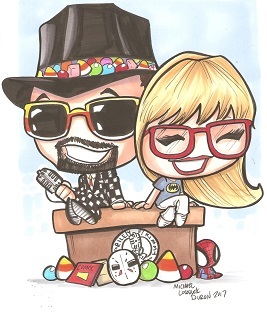 Join The Riley and Kimmy Show this Sunday at the Orlando Toy and Comic Con Summer Fan Event! On this episode of The Riley and Kimmy Show we talk about the Orlando Toy and Comic Con Summer Fan event. We play nerd pop culture trivia and an example of the Golden Age of Radio. On this episode of The Riley and Kimmy Show we talk about the Orlando Toy and Comic Con Summer Fan event. We play nerd pop culture trivia and an example of the Golden Age of Radio starring actor Errol Flynn and actress Joan Blondell. On this episode of The Riley and Kimmy Show we talk about the Orlando Toy and Comic Con Summer Fan event. We play nerd pop culture trivia and an example of the Golden Age of Radio starring actor William Conrad. Shoutouts to Christian the owner of Highlander Novelties. On this episode of The Riley and Kimmy Show we talk about the Orlando Toy and Comic Con Summer Fan event. We play nerd pop culture trivia and an example of the Golden Age of Radio starring actor Jeff Chandler. Shoutout to Mike Pries. The promoter of The Orlando Toy and Comic Con. On this episode of The Riley and Kimmy Show we talk about Cosography an upcoming cosplay convention in Florida. We play nerd pop culture trivia and an example of the Golden Age of Radio starring George Reeves and Joseph Cotten. Shoutouts to David Grace and Jake Estrada of Space Coast Comic Con. On this episode of The Riley and Kimmy Show we play nerd pop culture trivia and an example of the Golden Age of Radio starring actor Edward Arnold. Shoutout to Cosography the upcoming cosplay convention in Florida. On this episode of The Riley and Kimmy Show we talk about Cosography an upcoming cosplay convention in Florida. We play nerd pop culture trivia and an example of the Golden Age of Radio. Shoutouts to David Grace and Jake Estrada of Space Coast Comic Con. On this episode of The Riley and Kimmy Show we play nerd pop culture trivia and an example of the Golden Age of Radio starring actress Geraldine Page. On this episode of The Riley and Kimmy Show we play nerd pop culture trivia and an example of the Golden Age of Radio starring actor Gregory Peck. On this episode of The Riley and Kimmy Show we play nerd pop culture trivia and an example of the Golden Age of Radio starring actor John Wayne and actress Marlene Dietrich. On this episode of The Riley and Kimmy Show we talk about Cosography an upcoming cosplay convention in Florida. We play nerd pop culture trivia and an example of the Golden Age of Radio. Starring actor Spencer Tracy and actress Loretta Young. On this episode of The Riley and Kimmy Show we talk about the Orlando Toy and Comic Con Summer Fan event. We play nerd pop culture trivia and an example of the Golden Age of Radio starring actor Robert Cummings. On this episode of The Riley and Kimmy Show we talk about Cosography an upcoming cosplay convention in Florida. We play nerd pop culture trivia and an example of the Golden Age of Radio starring actor Robert Taylor. Shoutouts to David Grace and Jake Estrada. On this episode of The Riley and Kimmy Show we talk about the Orlando Toy and Comic Con Summer Fan event. We play nerd pop culture trivia and an example of the Golden Age of Radio starring actress Jean Harlow and actor Robert Taylor. Shoutout to Christian Gillispie the owner of Highlander Novelties in Ocoee, Florida. On this episode of The Riley and Kimmy Show we talk about the Orlando Toy and Comic Con Summer Fan event. We play nerd pop culture trivia and an example of the Golden Age of Radio. Shoutout to Christian Gillispie the owner of Highlander Novelties in Ocoee, Florida. On this episode of The Riley and Kimmy Show we talk about Hopalong Cassidy and play nerd pop culture trivia and an example of the Golden Age of Radio. On this episode of The Riley and Kimmy Show we play nerd pop culture trivia and an example of the Golden Age of Radio starring actress Paulette Goddard and Fred MacMurray. On this episode of The Riley and Kimmy Show we play nerd pop culture trivia and an example of the Golden Age of Radio starring Frank Morgan. On this episode of The Riley and Kimmy Show we play nerd pop culture trivia and an example of the Golden Age of Radio starring Joan Caulfield.